The Booth Brothers have a large and loyal fan base. It was time to upgrade their website to better feature all of their activity, and improve usability for their mostly older audience. A custom song search is a key feature of the new site. Fans are constantly looking for lyrics, samples and more information on their favorite songs in the Booth Brothers' discography. 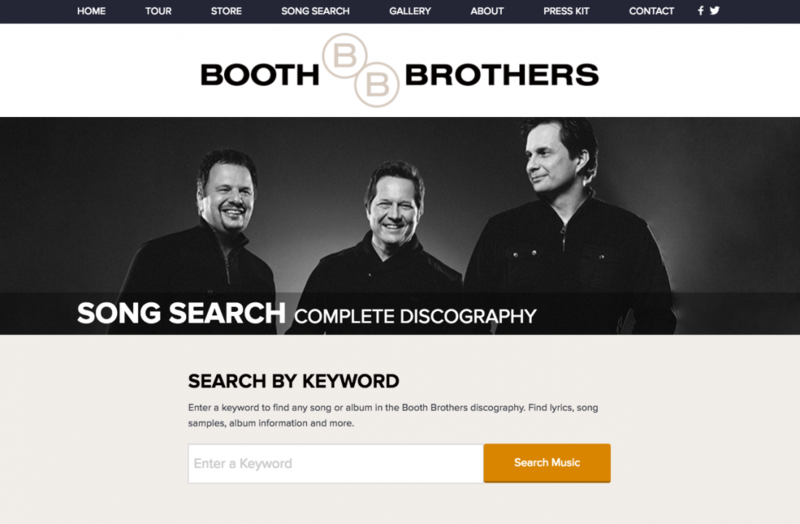 We integrated the song search with their store to create additional sales opportunities as well. 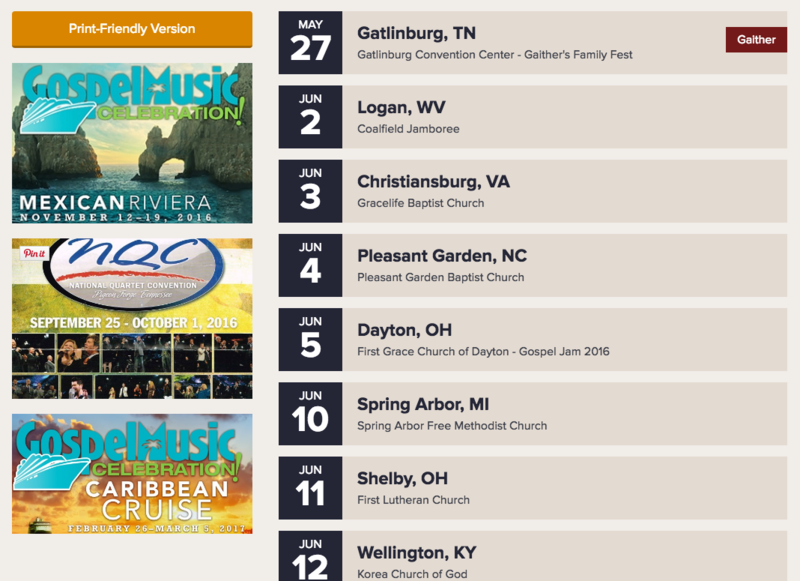 An extensive performance schedule means the event and tour list must be easy to use on all devices. Want to know more about this project or talk about how we can partner on your website, marketing and design projects? Get in touch at info@landslidecreative.com.